The American Academy in Rome has been awarding the fellowship to internationally renowned scholars since 1896, thirty-three years before the first Academy Award. Gabrielian and her partner, Assistant Professor Alison B. Hirsch of the USC School of Architecture, were among the recipients of this year’s coveted fellowship, awarded to 15 scholars and 15 artists, uniting practitioners of fields ranging from poetry to music composition to landscape architecture. 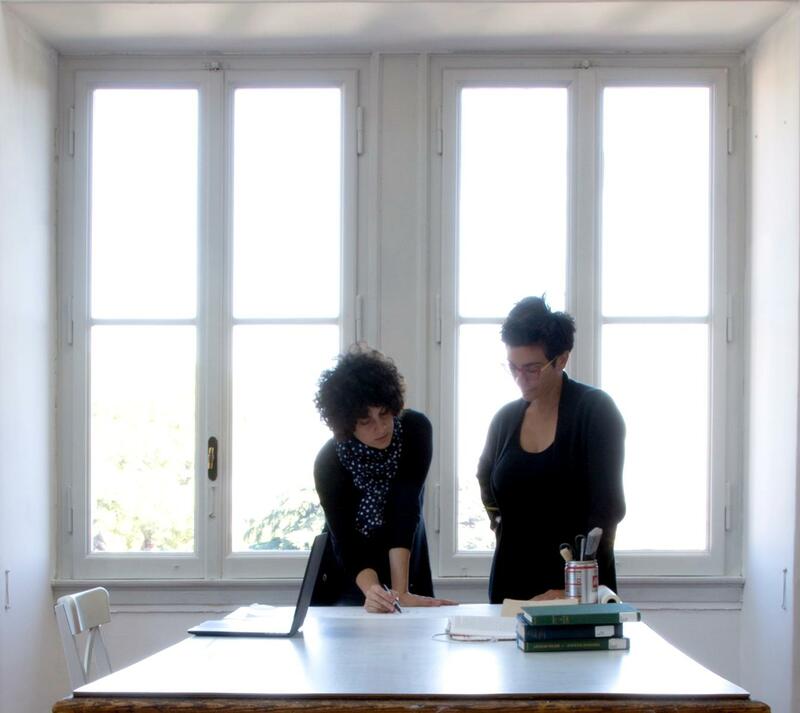 Gabrielian and Hirsch won in the latter category as creative practitioners and have been awarded a stipend, workspace, and full room and board for up to two years while they continue their research on the Academy’s eleven-acre campus in Rome. M+AP Ph.D. candidate Aroussiak Gabrielian and partner Assistant Professor Alison B. Hirsch of the USC School of Architecture together working in their office. "Receiving the Rome Prize is an incredible honor," says Division Chair Holly Willis. "We are excited to see how Aroussiak and Alison will integrate the methods of cinema, architecture and landscape design into a new form of research practice." The goal of the project, in simplest terms, is to paint Rome in a new light. Countless stories of Rome have played out in cinema and the other arts, relying on dominant imagined histories to fill the narrative gaps left in its ancient ruins. Gabrielian and Hirsch want to imagine a new story for the ancient city, one that “unearths non-dominant narratives” and plays them out “using immersive cinema techniques.” In doing so, their project will offer a new vision of Rome and speculate on its possible futures.